Bijlmer Euro » Get your Bijlmer Euros! 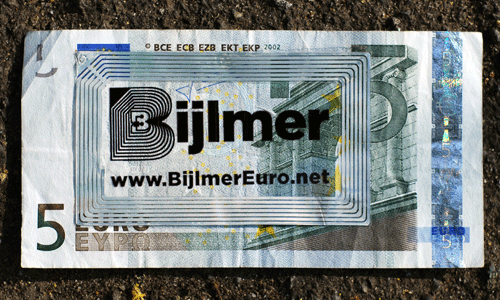 The Bijlmer Euro is a complimentary local currency for South East of Amsterdam which creates economic benefits for local people, inspires social connections and builds a complex network identity for the Bijlmer. There are 2000 Bijlmer Euro notes that can be used at 17 participating local shops to get special discounts. The launch of the Bijlmer Euro went incredibly well. Take a look at the huge amount of TV, Radio Print and online Press we received. Come and get your Bijlmer Euros at the Mobile Bank located at Imagine IC. Click here for a map and list of all the participating Bijlmer Euro Shops, and here for a real-time Visualisation of where the Bijlmer Euros are travelling.